Saturday, May 19, people all around the world will be walking to bring attention to the children and their families that do walk out of necessity to obtain their water for their daily needs. 6k is the average distance they have to trek, consisting mostly of women and children. Often the walk is through dangerous areas, with no guarantee that the water they obtain will even be clean. 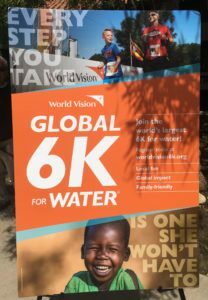 World Vision has organized this event to take place at more than 1,000 locations worldwide! St. John’s members are joining their vision by participating in a walk that will take us from the church courtyard to RSM Lake via the O’Neill Park pathway, and back to church. 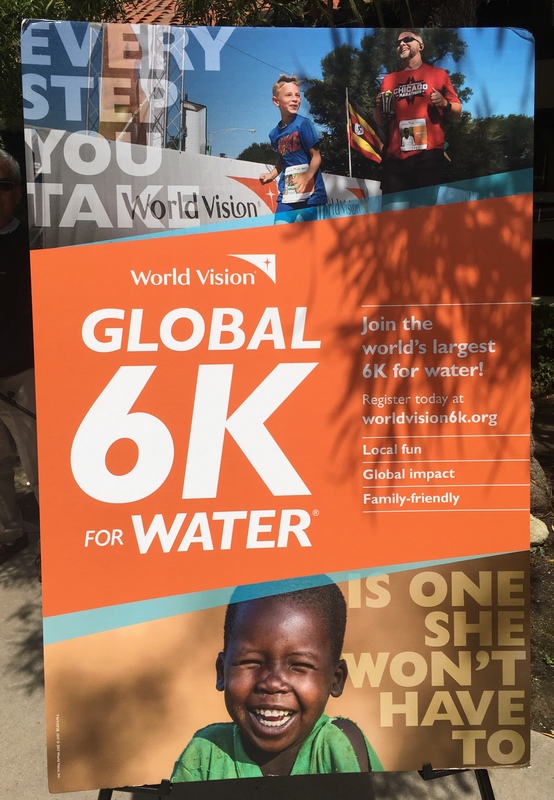 Every $50 registration fee provides clean water for one person. • Saturday, May 19, 9 to 11 a.m.
• Meet in the church courtyard at 9 a.m.
Lace up your tennis shoes, join our team, and be reminded that our collective walking will lessen the burden of others! You can truly — really — make a difference in someone’s life by walking in this 6K.